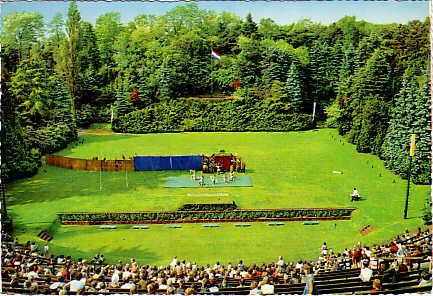 Open-air theatre. Named after the Latin name of the heather plant, Calluna vulgaris. Front Text: "Ede, Openluchttheater Calluna"